If you are wondering what to do with the dingy or shabby looking leather sofa in your living room, this article is just for you. By the time you are done, you will be looking forward to giving it a new and funky look! 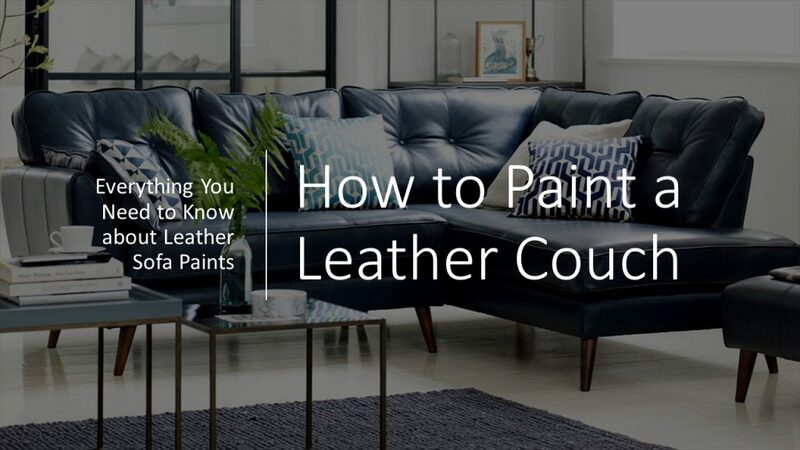 We will discuss everything you need to know about how to paint a leather couch. The first impression is always the best impression, isn’t it? Well, that holds true of your house too! In this case, it’s always the living room. We all want to have the best couches in our living rooms. More than just coziness, leather furniture is more preferred for not just their sleek and elegant look, but also because they are easy to clean. But what if yours is in a bad shape? You come to your living room and notice your couch looking all shabby, with some paint chipping off. Luckily, the leather hasn’t come off yet. After a bit of pondering over, you arrive at a solution- Buy a better one, of course! But, what if you were told that painting it would be a better idea? If you have already bought a swanky looking sofa before, that too leather, you might know how pricey it is. A can or two of paint would certainly not cost that much of a fortune. 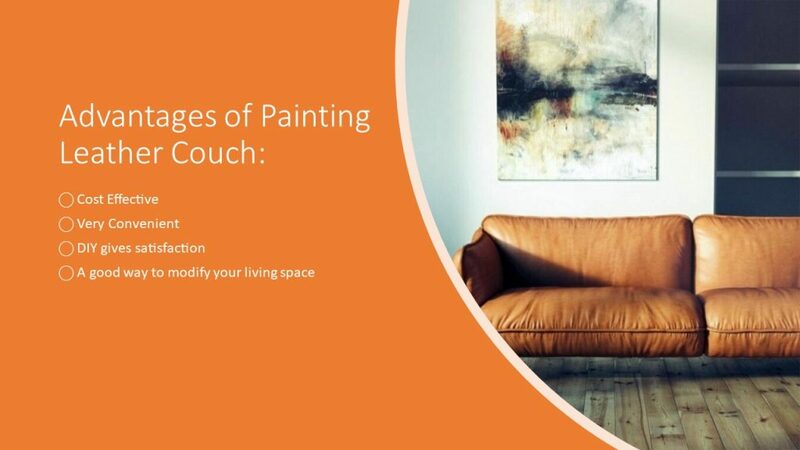 Painting and revamping the dingy old couch will let you pick the perfect style to suit both your sofa and the drawing room. Plus, it will make for a much livelier place. There is nothing more disappointing than buying an expensive and stylish leather sofa, only to find that it doesn’t gel in with its surroundings. You can instead choose to change the old one into something new, which will leave you more satisfied! Not only is this solution more fitting in your budget, but also a more convenient one. You can pick and choose the paint you want, or even change your choice if needed, all at your convenience! There are a variety of fabric and leather paints available nowadays. However, if you are looking at leather, it would be best to go with the latter. The next step is to find out the best brands. We bring you a few of the best brands of leather paints available online, along with an overview. With a rating of 4.5 out of 5 in Amazon for some of it’s products, this brand has got excellent reviews for its adhesiveness after drying, along with a glossy finish. No chipping or peeling off. With no negative reviews, Reluv has been recommended as best for repairing faded leather, along with coloring it. While these two are the most popular brands, there are a few more like leather clinic and scratch doctor leather color restorers, which have lesser ratings. Let’s now go on to the next step. 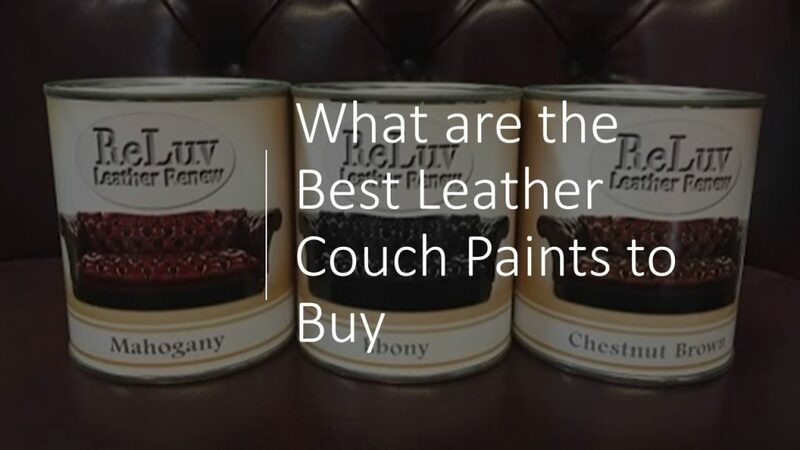 Now that you have got an idea of the few brands of leather paints and related products out there, let’s go through what you will need when painting your couch. Remember, it’s always best to go for high-quality brands. Painter’s tape and lots of it! Start by placing a drop cloth under the couch. Clean it and brush off any dust or dirt from the surface. If it is a chunky piece of furniture which can be dismantled, it’s better to do so first. The next step is to seal off other parts of the furniture with painter’s tape, to avoid paint dripping on to the area. Along with cleaning, this also lets the paint adhere to the surface of the couch when dried. Take time and apply it all over the surface with a rag. A bit of the color may come off, but it shouldn’t bother you when you look at the after pictures! If you are working on a couch with a glossy or vinyl sealant, this step becomes more necessary. If it’s a suede leather couch, ignore this rule. Grab that paint and brush! It is highly recommended that you use a sponge or sponge brush for applying the paint. Most of them come with a thin consistency, so you should apply at least three coatings. You can use a small thin brush to paint over the seams and creases. Apply a coating first and allow it to dry, which may take 1-2 hours. Only then proceed with the next. Remember, patience is a virtue! After the final coating, give it more time to dry before you use the finisher. It is better to wait around 6 hours. You can either opt for a glossy finish or flat/matte finish. While a glossy finish is more stain resistant, the latter is a more cost-effective option. A matte finish also gives a more natural leather look. Apply it with a foam brush all over the area. So, don’t you think this is a much better idea? Painting your couch does have its benefits. It is not just cost-effective, but also pretty fun if you have someone to help you! Now that you know the basics, why don’t you try it out?